Lakeside Press was founded in 1990 to self publish our nightmare story about defective house construction. That book, And They Built a Crooked House, came out in 1991. 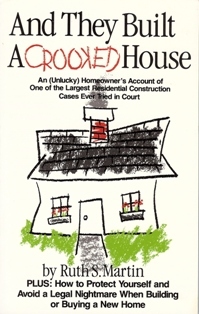 Although limited in distribution, Crooked House was widely acclaimed as a first person account of what happens when the dishonest and incompetent build a house, and the legal system is of no help. 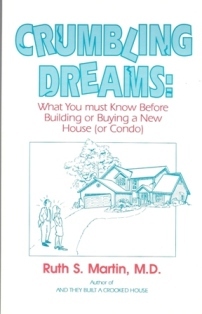 Our experience, coupled with what we learned from many other people in similar circumstances who read Crooked House, led to a 2nd self-published book about the nationwide problem of defective house construction: Crumbling Dreams: What You Must Know Before Bulding or Buying a New House (or Condo) (1992). Self publishing before the internet era was a daunting and expensive proposition, with significant problems in distribution. When the internet became widely available in the mid 1990s we acquired the domain name lakesidepress.com, coded the books into html and moved them onto the server. At the time there was no Google, no Yahoo, and almost no other books were being published on the internet. All You Really Need to Know to Interpret Arterial Blood Gases, 2nd ed. Over time lakesidepress.com became a vehicle for extending my medical teaching and writing to a wider audience on the internet. I created and uploaded numerous web sites, on topics ranging from asbestos disease to sleep disorders to asthma and chronic cough. Everything under lakesidepress.com is listed in an alphabetized index. Lakeside Press is no longer a print publisher, and exists only in its domain name status: lakesidepress.com. 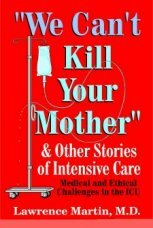 Just two books are currently available in print form: All You Really Need to Know to Interpret Arterial Blood Gases (Lippincott) and "We Can't Kill Your Mother!" and Other Stories of Intensive Care (Author House). 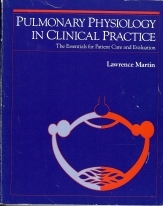 All the other books are on line (except for a few chapters of Pulmonary Physiology in Clinical Practice). Lakesidepress.com does not publish outside work (though its web sites link to many other excellent sources, all with attribution). Its singular purpose is to disseminate information on a wide variety of topics relating mostly to my specialties of pulmonary and sleep medicine. 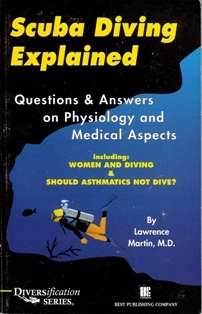 Scuba Diving Explained deals mainly with medical aspects of the sport, and is written for a general audience. 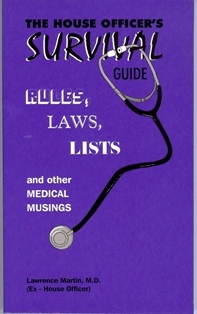 Not all is medically-related, of course. The two 'house construction' books got us started in publishing and, since their message is timeless, will stay on the web indefinitely. And then there's golf. I took up the game as a sometimes relaxing hobby, and experienced the frustration felt by all who start playing golf in middle age. I understood the game but couldn't play well no matter how much I tried, how many lessons I took. No doubt out of frustration, I decided to write about what it takes to be a good golfer. My essay Secrets of the best golfers -- from a professional...golfer has been especially well received, both for its insight and the fact that it eschews the pablum one reads in popular golf magazines (it sure wouldn't sell a lot of golf merchandise). Along the way I also wrote a short on-line-only book that was inspired by many people I played with over the years: Why Are You STILL a Hacker? In 2008 we signed up with Google Ads to help defray the cost of web site maintenance. These ads have no influence on any of the content. Finally, whether good or bad, constructive or destructive, I welcome comments on any of the lakesidepress.com web sites.